Refer a business that becomes a new client – get an Amazon.com Gift Card! * It’s that simple. The highest compliment you can give us is the referral of a new client. If you know of anyone who could benefit from the IT support services we provide, please keep us in mind. Having ongoing computer or IT support issues? We would appreciate the opportunity to discuss how we could help their organization with their IT needs. 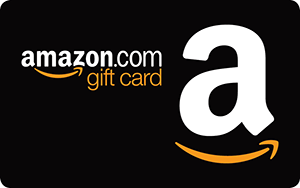 When your referral is received, we will attempt to schedule a meeting with the company you referred and, if a meeting is arranged, you will receive a $100 Amazon.com Gift Card. It’s as simple as that! You will receive your gift card(s) in the mail or hand-delivered by OXEN Technology within two weeks of each qualifying event in this offer.